We're a group of voice over artists in and around Austin, Texas. We welcome members at all levels of experience and working in all different markets. 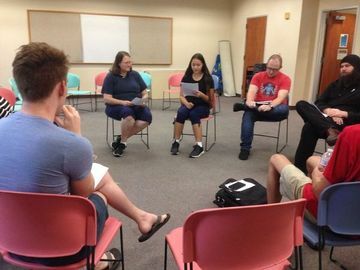 Our MeetUps are voice over workouts, in which we take turns doing reads and giving each other direction. We also network and talk about the industry. AWESOME AUSTIN! I'm young, social, in Austin! 20's 30's fun.